TALLAHASSEE, Fla. – The Governor and Cabinet have approved the acquisition of 5,534 acres of undeveloped native land in Hendry County within the Devil’s Garden Florida Forever project. Devil’s Garden is an important addition to existing conservation lands in the Okaloacoochee Slough and contributes to an ecological greenway that create a corridor connection from South Florida to the Panhandle. This parcel will allow increased public access for hiking, biking and bird watching on the Great Florida Birding Trail. The northward water flow on the parcel leads to a canal that runs east-west and then moves north toward the Caloosahatchee River. The connection of uplands and wetlands draining both to the north and south are important to protecting state water resources. The natural systems of Fakahatchee Strand and Big Cypress Preserve are dependent on the water supplied from this area, and a majority of the Devil’s Garden project area lies within the Western Everglades Restoration Project planning boundary. The property will be managed cooperatively by the Fish and Wildlife Conservation Commission (FWC) and the Department of Agriculture and Consumer Services’ Florida Forest Service. 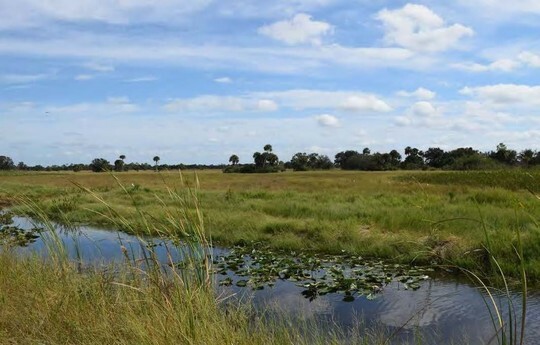 “This is an exciting acquisition for FWC, not only for the added protections for numerous imperiled plants and animals, including the federally endangered Florida panther, but also for the expanded recreational opportunities for visitors to the Okaloacoochee Slough Wildlife Management Area and adjacent state forest,” said FWC Regional Director Dr. Thomas Reinert.